There has been lots going on in Pirate101 the last couple days! 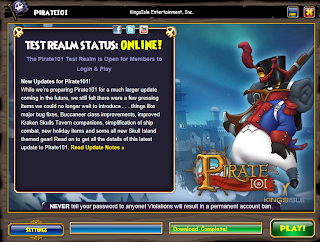 First, Pirate101 released the test realm yesterday to fix some bugs and make some other great adjustments to game play! But more about that in a minute! Today they announced the beginning of their annual 12 Days of the Spiral celebration! I am excited! I love this time of year :) If you're new to the game, here's how it works. Every day for 12 days (today through December 18th), Pirate101 will announce a new crowns item, giveaway, contest, or some other fun thing. So be sure to check the link above everyday for a new Pirate101 treat! 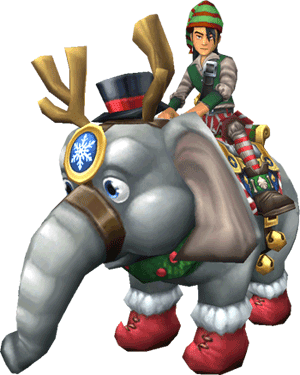 To kick off the 1st day, Kingsisle released their newest charity mount, the Noelephant. It can be purchased for 7500 crowns in game, and proceeds go to three different charities that help children. For more information, go here. 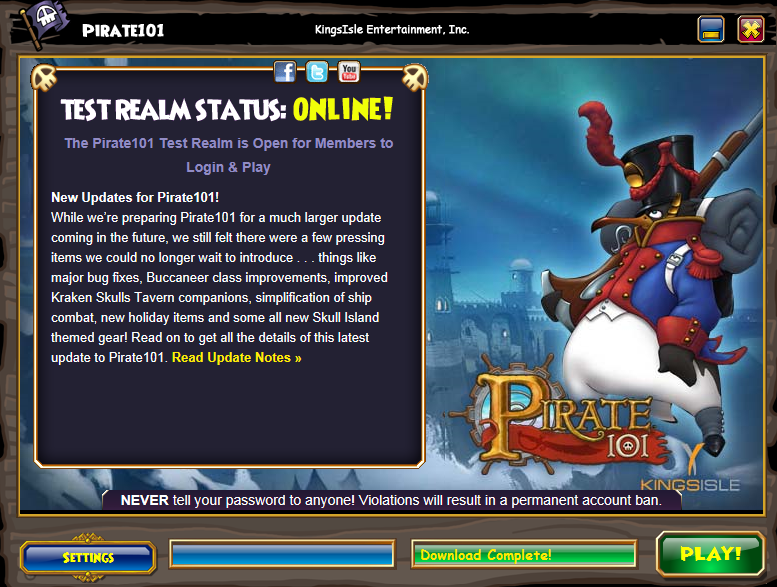 As I mentioned above, test realm is also online. There are some great improvements to the game. Here are a couple of my favorites. New powers for the Kraken Skull companions. Gotta love any new powers! During a broadside combat, any damage made to the enemy's ship will be reflected in their starting health if you get boarded. This will make soloing those tougher ships much easier! New gear in Skull Island! Yay for looking more piratey! If you would like to download test realm and check out the improvements yourself, you can go here. It is available to all members and any players that have made at least $6.00 in crowns purchases in the last month.